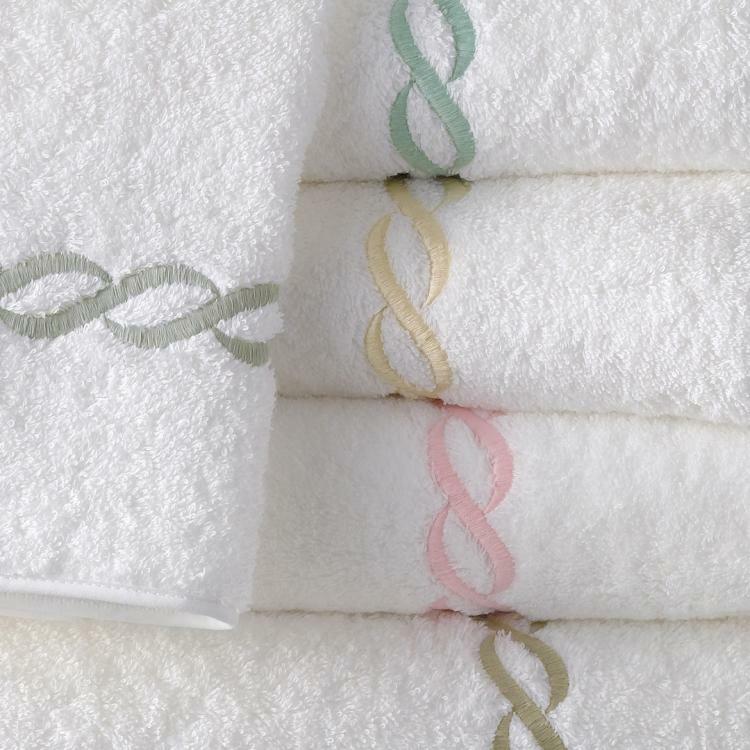 Heralding a classic Greek motif, the chain embroidery creates a timeless, one-of-a-kind look for Cairo long-staple 100% cotton terry bath towels. 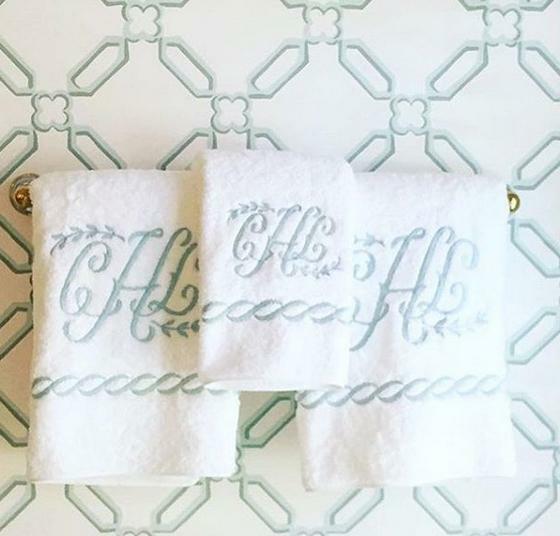 These elegantly designed pieces have a beautiful white piping finishing touch. This collection is made in the USA of fabric from Portugal.